San Diego Divorce Lawyer, Brian A. Victor has litigated complex family law matters ranging from child custody issues to community property debts resulting from loans. Brian A. Victor is the only divorce lawyer in San Diego County with prior work experience at Family Court Services (FCS) where, for more than eleven years, he worked with the most challenging child custody and visitation matters and crafted more than 4,000 child custody recommendations for Family Court judges. In fact, he can still be seen in the Family Court Services Orientation video, which is shown before every mediation session and online. 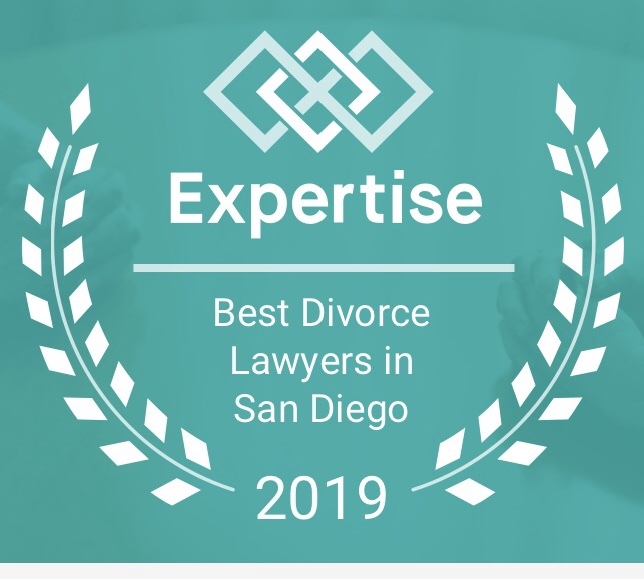 Brian A. Victor has been named one of the 25 Best San Diego Divorce Lawyers in 2019 by Expertise.com. 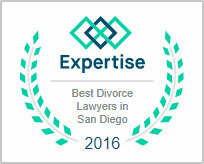 This honor was based on a review of 311 divorce lawyers analyzing and scoring divorce lawyers on more than 25 variables across five categories considering Reputation, Credibility, Experience, Availability, and Professionalism. 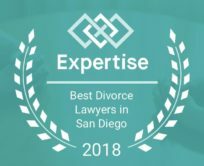 Mr. Victor was also named one of the 25 Best San Diego Divorce Lawyers in 2018 and 2016 by Expertise.com. Brian A. Victor has been selected to the Super Lawyers 2019 California Rising Stars list, Super Lawyers 2018 California Rising Stars list, Super Lawyers 2017 California Rising Stars list, Super Lawyers 2016 California Rising Stars list, and the Super Lawyers 2015 California Rising Stars list. Attorney Brian A. Victor has been selected to this exclusive list recognizing no more than 2.5 percent of the lawyers in the state for five consecutive years. Brian A. Victor has been named one of the Top 10 Family Law Attorneys in San Diego by Custody X Change. The Law Offices of Brian A. Victor handles a variety of family law matters including, divorce, legal separation, custody and visitation, post judgment modifications of child support and spousal support (alimony), marriage settlement agreements, divorce mediation, and preparation of divorce paperwork, summary dissolution, RFO and other family law motions. (1) He obtained both a Bachelor’s degree and a Master’s degree in psychology, plus passed the written and oral licensing examination, making him a licensed marriage family therapist, This acts as a great asset to his law practice when dealing with the complexities and issues his clients experience during their divorce. When asked about the similarities and differences between the two careers and the training involved in each of them, Mr. Victor has this to say: “My background and experience as a licensed marriage family therapist helps me better understand the underlying issues my clients are going through in their divorce and custody situations. Many clients want a divorce lawyer who can genuinely understand what they are going through in this stressful situation. (2) With his ability to prepare clients for their FCS custody and visitation session when there is a custody dispute based on his firsthand knowledge of the process. Knowing how important the FCS session is for deciding custody and visitation issues, he offers FCS preparation as part of his family law representation or as a separate service. Mr. Victor was a featured guest speaker on ESPN radio. Mr. Victor was also a featured guest speaker on Impact Makers Radio’s “Let’s Talk Divorce” series. Mr. Victor was also a featured guest speaker for the North County Bar Association Family Law Section and The Foothills Bar Association regarding the role of Child Welfare Services in family law cases. San Diego Divorce lawyer, Brian A. Victor understands that divorce is a difficult process that is stressful not only for the parties who are getting divorced, but also for the children involved in this situation. When deciding on hiring a divorce lawyer to represent you it is important that your attorney not only understands the emotional challenges involved in the situation, but also has the ability to help you fight for your rights. As an attorney and a licensed marriage family therapist, Brian A. Victor understands the complexities of child abuse and domestic violence in family law matters. Attorney Brian Victor has the experience to help you minimize stress so that you can focus on what is important, such as your children, your future, and planning for life after divorce. Divorces can have a devastating effect on your financial future. San Diego family lawyer, Brian Victor understands this and will do everything possible to help you achieve the best results. Not every divorce has to be litigated through a long court process and he will help you settle your matter before it gets to the court room if possible. However, should your matter require a judge to decide your outcome, he will litigate your matter to the fullest extent. If you have been served with court papers and don’t know what to do, or if you just have questions about your legal matter, contact San Diego family lawyer, Brian A. Victor at 858-633-3529 to guide you through the process. Get to know San Diego divorce lawyer, Brian A. Victor a little better.